Stop-motion photography could be a fantastic way to express your visual ideas in a different, more creative and enticing manner. Whether you tend to shoot a stop-motion video for a client or just for fun, this technique could be another great addition to your filmmaking skill set. Speaking of stop-motion, it’s an animation technique where the object is moved in small increments between individually captured frames, creating the illusion of movement when these frames are later played back as a continuous sequence. Trisha Zemp and J.P. Morgan will cover the essentials of the technique in greater detail in the tutorial below as both professionals share some of the most important considerations you should bear in mind when it comes to filming stop-motion videos yourself. Obviously, the first essential tip when shooting a stop motion video is to eliminate any movement and keep your camera as steady as possible. Typically, you will need to put your DSLR on a tripod and trigger it remotely. 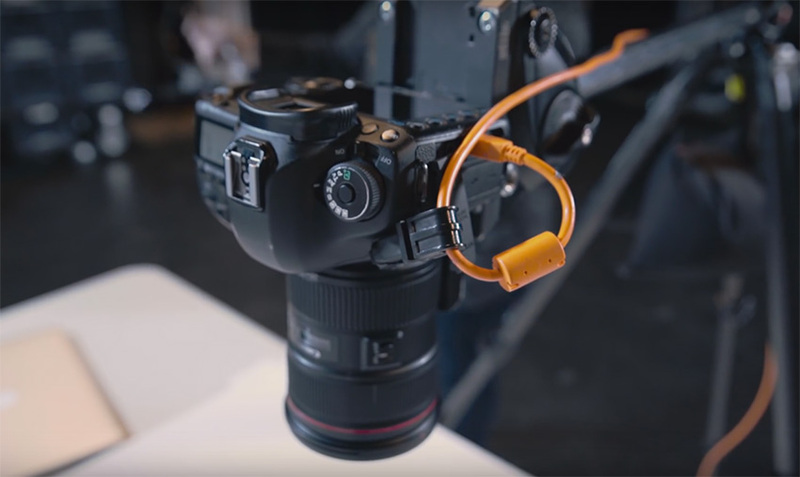 It’s also recommended to power the camera by using an alternative DC adapter, thus keeping it alive as long as you’re shooting. Depending on its complexity, a single stop-motion video might take you a whole shooting day, so you better be prepared for the long hours spent in the studio in advance. The best way to trigger your camera is by tethering it to а laptop and using the remote control of an application such as Adobe Lightroom. That way, you will be able to see the images instantly as you create them, plus it will be a lot easier to evaluate more precisely the look of each frame. Another consideration worth noting is picking the right frame rate for your stop-motion video. Anything between 10 to 15 frames per second should give you decent results, but you can experiment further to see what works best for your project. All in all, shooting 15 frames per second should be enough to produce the popular, wiggling movement, plus it’s a great place to start and experiment further. In other words, if you want to create a 10-second stop-motion video you’ll need to capture 150 frames which isn’t that much indeed. The third important consideration is your lighting setup. As-a-rule-of-thumb, make sure that your set is lit as evenly as possible. To achieve the desired results, you can utilise different methods of lighting. For instance, you can use continuous lighting, strobes, or even natural light. Keep in mind, though, that when using the latter method you won’t have full control over the quality of the emitted light so I would avoid utilising natural light for this type of animation. Depending on your lens, keep the aperture setting between five and eight stops to maintain optimal exposure. That way, you will get the least amount of vignetting in the corners of your frame and would avoid any other type of lens aberrations that might distract your audience. 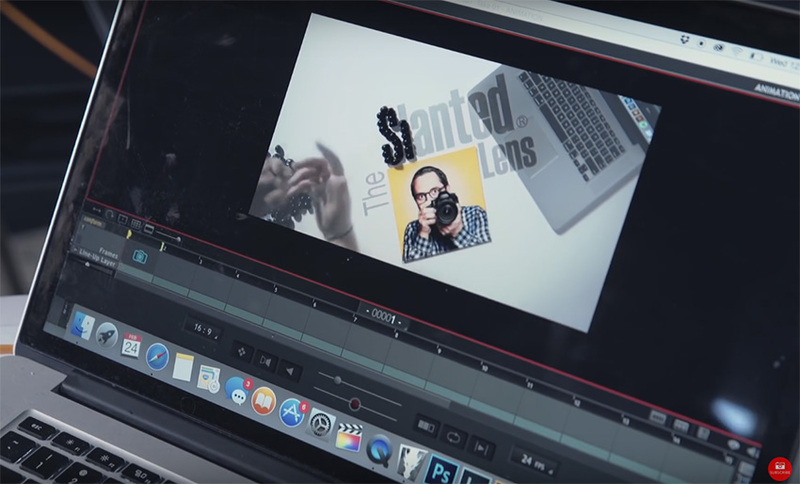 At the end of the video, Trisha showcases how to animate the Slanted Lens logo with beans which is a whole different tutorial of its own as it showcases the process of creating a stop-motion animation in real-time from start to end. Definitely worth watching!